For a little while, Blizzard’s acknowledged that Symmetra is too much of a situational hero. Now they’re doing something about that. 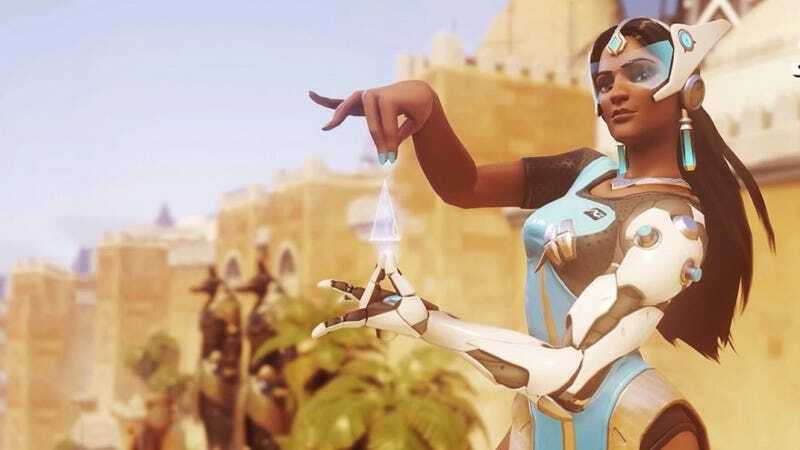 In a new developer video, Overwatch game director Jeff Kaplan explained that a new version of Symmetra will soon be coming to the game’s PTR. Nu-mmetra will be the first Overwatch hero to have a choice of ultimates. Her options are her trusty old teleporter and a new shield generator that creates individual shields for the whole team, which theoretically gives her some utility even after the other team has taken the first point and you don’t need a stinkin’ teleporter anymore. Symmetra’s old shield ability, meanwhile, will be replaced by a new ability called Photon Barrier. It’s a Reinhardt/Winston-esque barrier, except it moves along a trajectory. The hope is that your team will move with it. Otherwise, well, it’ll probably look pretty silly. Symmetra will also be able to set up and relocate her turrets more quickly, and her primary fire beam will lock-on from a slightly further distance. All-in-all, it sounds like she’ll be a much better-rounded support—not just on defense but also on attack—with a newfound emphasis on pushing through tough chokepoints and giving her team an extra layer of defense during point captures. So, what do you think? Symmetra players, do these changes sound like just what the magical hologram architect ordered? People who’ve avoided her like the plague, are you reconsidering now?